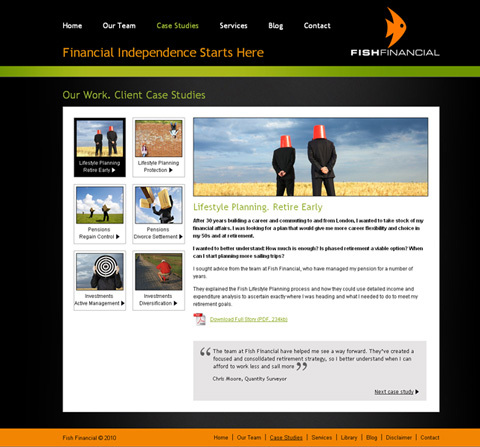 We recently launched a new website for Fish Financial, an independent financial adviser firm based in Farnham, Surrey who wanted a site that would really differentiate them. In their own words “we don’t do boring!”. The site contains several case studies, clear descriptions of their services, and a bespoke designed diagram to describe their process visually. 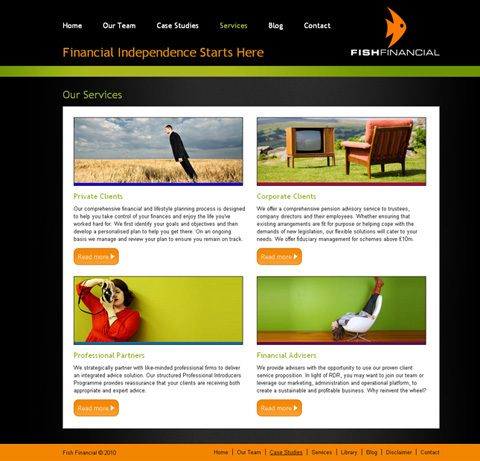 Have a look at the Fish Financial site here. 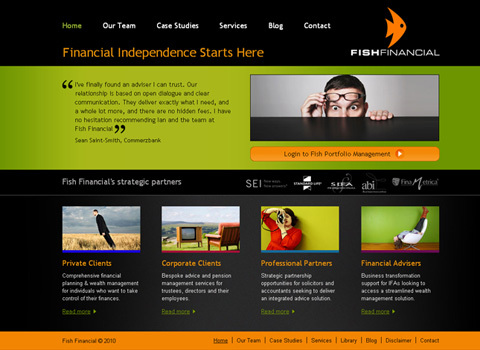 On this project we worked closely with Abbie Tanner from A Business Innovation. 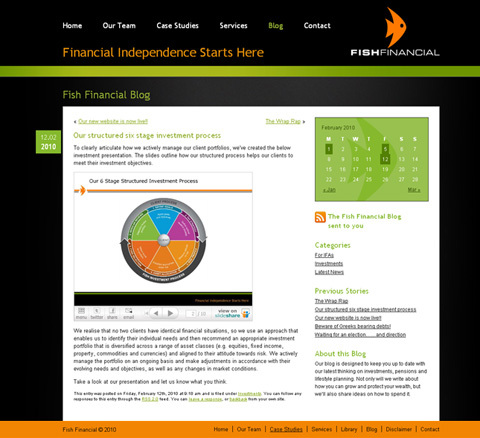 Abbie is Fish Financial’s marketing consultant and this website is the product of months of her planning and strategy with the Fish team before we even picked up a mouse to start designing! We hope you like the website as much as we do!